Nadia Sparkes doesn’t care about the bullies who try and ridicule her for her eco-friendly habits – she will continue doing all she can to save the environment. 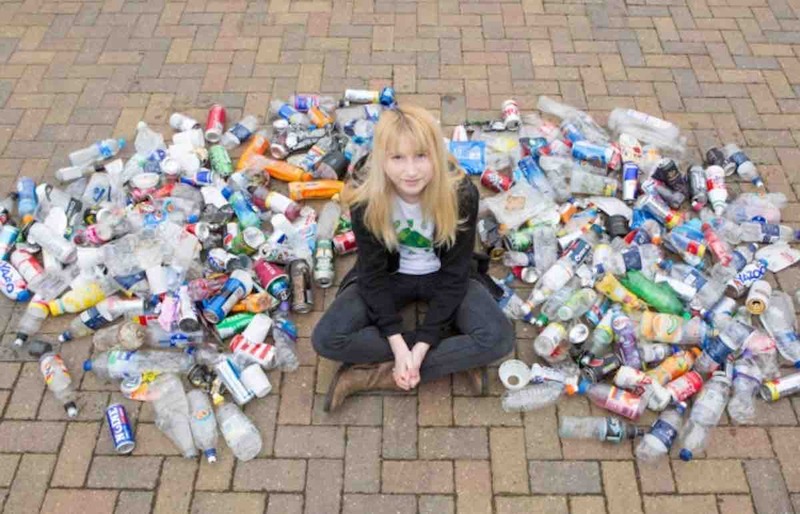 The 12-year-old high school student has spent the last six months picking up all of the trash that litters the 2-mile stretch between Hellesdon High School and her home. The student says that picking up trash is her way of making the community – and the planet – a little bit tidier. Every day that the youngster heads home from school, she fills up her bicycle basket with the litter that she finds on the side of the road. Since she began her mission, she has filled up two recycling bins of trash. Unfortunately, some local bullies started making fun of her routine and calling her “Trash Girl”. Instead of being dissuaded by their rudeness, however, Sparkes is more determined than ever. “I’m not going to stop doing the right thing because of them, and if they are going to call me trash girl, they can say it with respect,” said Sparkes, according to the Eastern Daily Press. Since news of Sparkes’s hardworking spirit has gone viral, the teen has received an outpouring of support on her Facebook page, which is appropriately called “Team Trash Girl”. In light of her latest slew of fans, Sparkes has asked all of her readers to join her mission by picking up at least three pieces of trash today in their community.